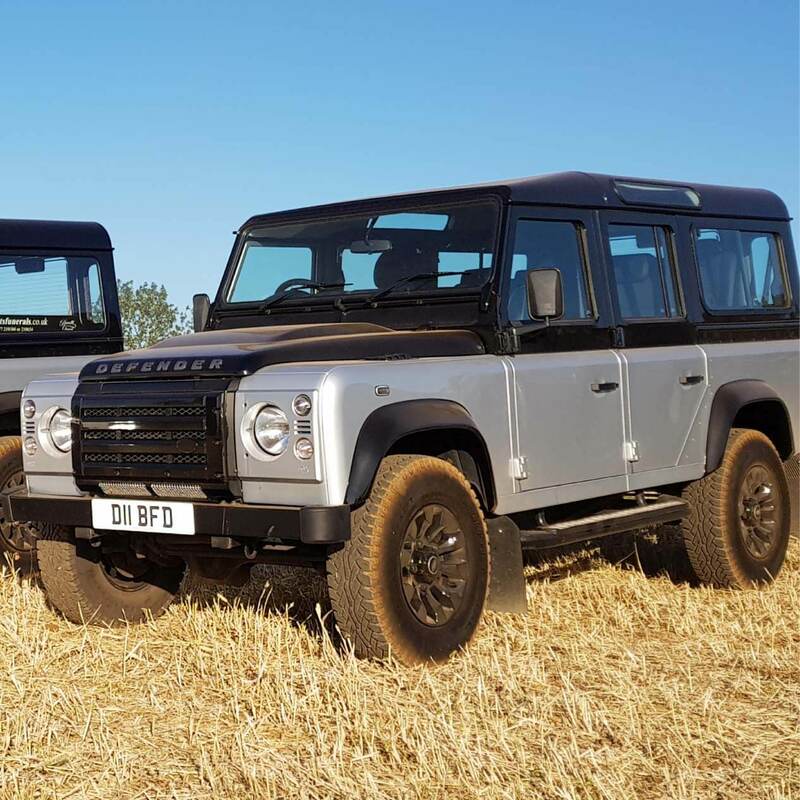 We are pleased to offer our alternative 4x4 Land Rover Hearse and follow on Land Rover Funeral Vehicle for Hire in Essex. We are pleased to offer our Land Rover Hearse and its matching follow on funeral vehicle. They are the only 4x4 funeral hearses of their kind in Essex and the surrounding counties of Kent, Norfolk, Suffolk and Hertfordshire. With this iconic and instantly recognisable vehicle you can reflect aspects of your loved one’s life, whether country or city based. 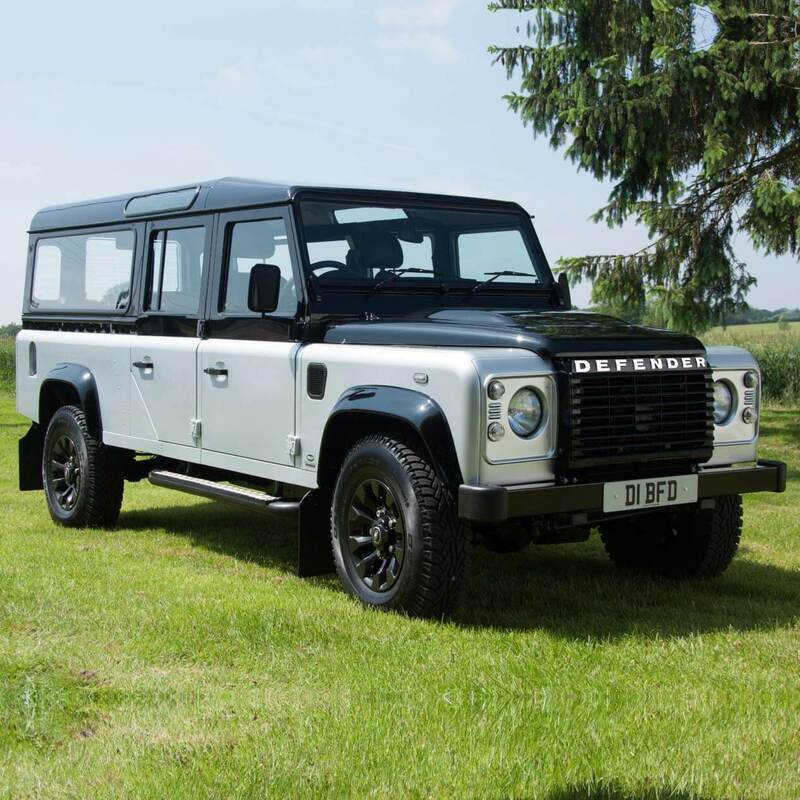 Our Land Rover Defender Hearse will provide a unique and distinctive look, a head turning, alternative hearse which can be used to complement the style of a funeral. 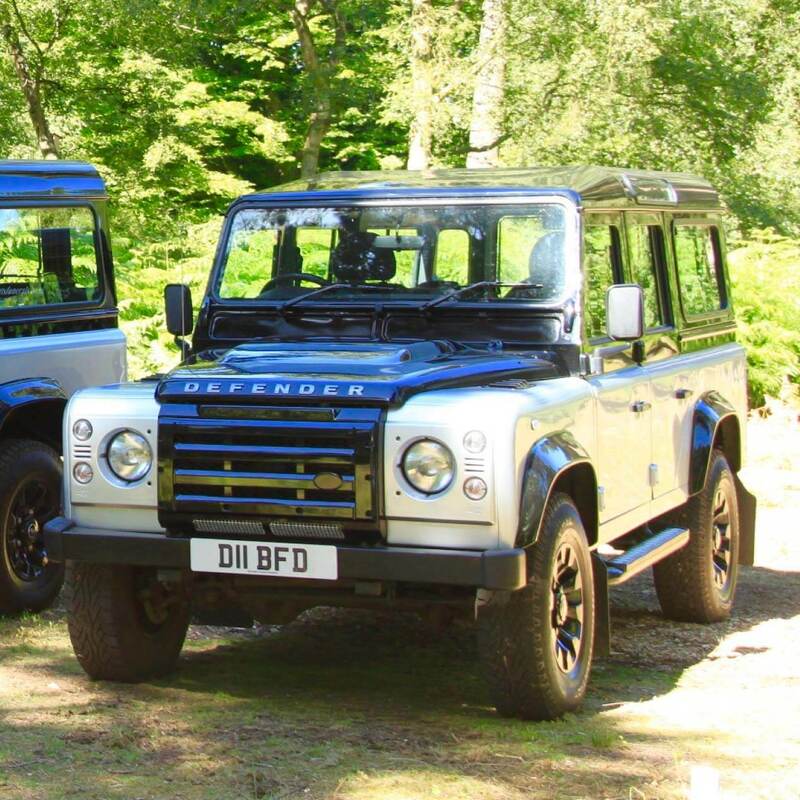 Not only can you hire our Land Rover Funeral Hearse, a stunning vehicle that meets the highest of standards in funeral transport, but we also have available an additional Land Rover funeral vehicle seating 7 passengers, enabling you to create an unforgettable statement fleet that will reflect the deceased and their life in the most unique way possible. Finished in Land Rovers autobiography colour scheme of silver and black, great care and attention has been taken to maintain our 4x4 Hearses so our customers can be assured that the vehicles and the service they receive will be pristine, reliable and faultless. We have 2 stunning Land Rover Funeral Hearses available 7 days a week for hire by pre – booked appointment. We cover all of Essex, Kent, Norfolk, Suffolk and Hertfordshire. 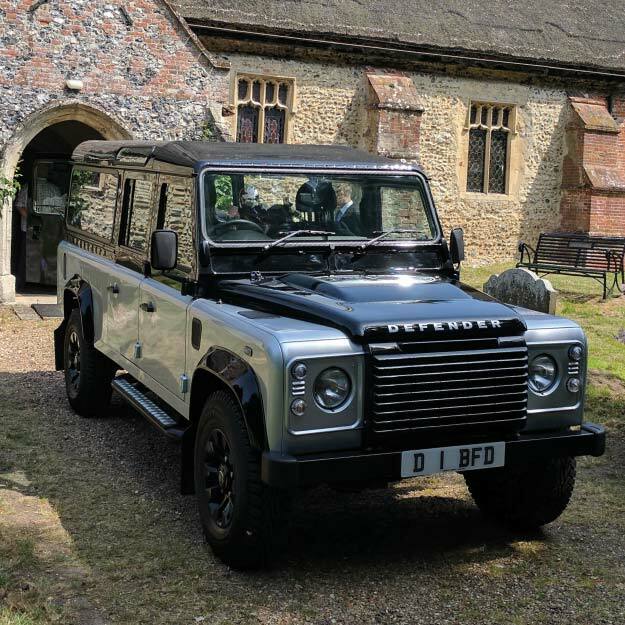 If you are interested in the hire of our funeral vehicles or would like any further information then please do not hesitate to call Land Rover Funerals in Essex on 01277 210104 – we will do the rest! Thank you for all you help, you made the process of arranging these vehicles so stress free. A great company, thank you.